Boeing expects its corporate giving efforts to reach more than $230M in 2018. The investment includes $55M in new charitable grants as well as donations from business units and employees, the company said Monday. The $55M grants package includes $13M for veterans’ recovery and workforce transition initiatives and a $1.1M investment to support the National Archives Foundation’s Emancipation Proclamation annual display. 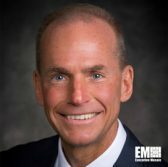 Dennis Muilenburg, Boeing chairman, president and CEO, said the passion and skills of corporate employees combined with the firm’s partnerships, professional networks and financial resources could help drive change in key areas such as veterans’ support and science, technology, engineering and math learning. The company aims to use the grants to support several U.S. and international nonprofit organizations such as FUSE; Homes for Our Troops; Family Forward; Nettur Technical Training Foundation; The Air League; and OISCA International.